This is a great live album released by Your Choice Records in ’91, a label who primarily released punk albums throughout the 90’s. Don’t let that throw you off though, as this is pure sludge in the classic Melvins tradition. Not only is the recording quality excellent (especially considering the live setting in which it was recorded in), but the setlist is also fantastic, containing songs from ‘Gluey Porch Treatments’, ‘Ozma’ and ‘Bullhead’. The band was obviously on fire that night, as their performance is top notch too. But then again, what else would you expect? Anyway, as I said, the recording quality is great. Buzz’s vocals are not too loud, nor are they too buried, and sit just right in the overall mix. His guitar tone is pretty crunchy on here, though it could have been heavier (but considering this is a live recording, I’ll let it slip). Lori’s bass sounds similar to how it sounded on ‘Ozma’, with that low-end plunky clunky sound. Dale’s drums are massive sounding, and probably provide the most power in the mix, just as they usually do. They have a thick coating of natural reverb from the venue, which gives it that live hall effect. There isn’t much to really say about this album, as it is a live album, and all of the songs can be found on the first three LPs, so aside from the recording quality and setlist, there is not much to talk about. 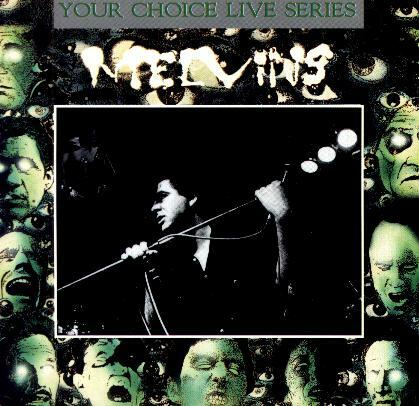 I suggest all Melvins fans hunt this down. It’s essential.